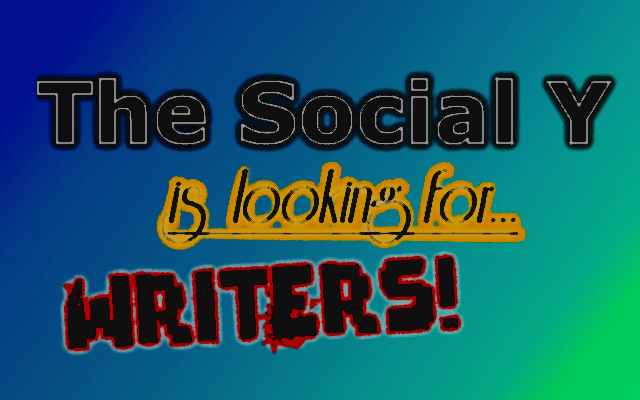 Hey there readers, and potential contributing bloggers. If you’re interested in contributing blog articles for another blog, and/or gaining extra exposure and readership for your own blog, then being a contributor at The Social Y may be exactly what you’d be interested in. We’re looking for writers of a wide variety of topics, so don’t be dissuaded if your topic isn’t already covered on our blog. Send us your thoughts, ideas, and interests regarding writing, and a link to your own blog (if you have one). We look forward to reading your future articles!